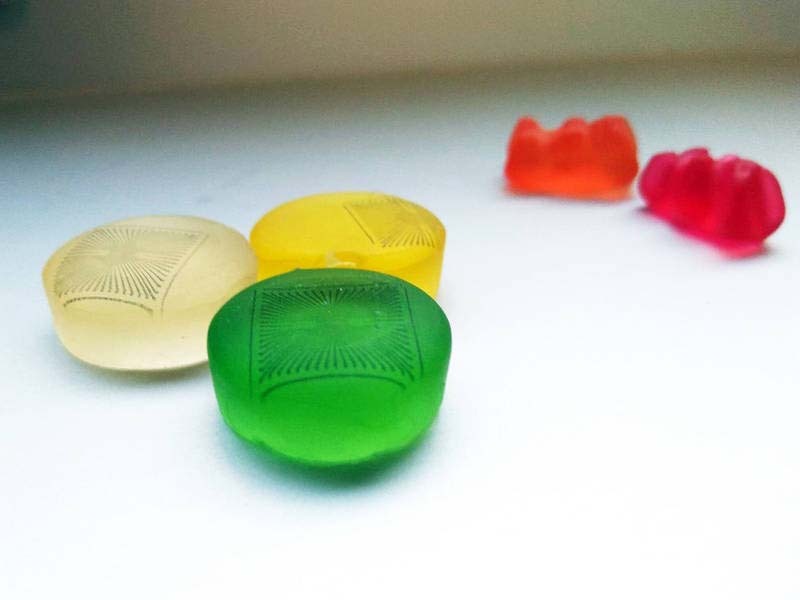 [dropcap style=”font-size: 60px; color: #9b9b9b;”]R[/dropcap]esearchers from TUM and Forschungszentrum Jülich have successfully teamed up to perform inkjet printing onto a gummy bear. This might initially sound like scientists at play – but it may in fact point the way forward to major changes in medical diagnostics. For one thing, it was not an image or logo that Professor Bernhard Wolfrum’s team deposited on the chewy candy, but rather a microelectrode array. These components, comprised of a large number of electrodes, can detect voltage changes resulting from activity in neurons or muscle cells, for example.